ACD Distribution Newsline: Sonic The Hedgehog: Battle Racers—New from Shinobi 7! 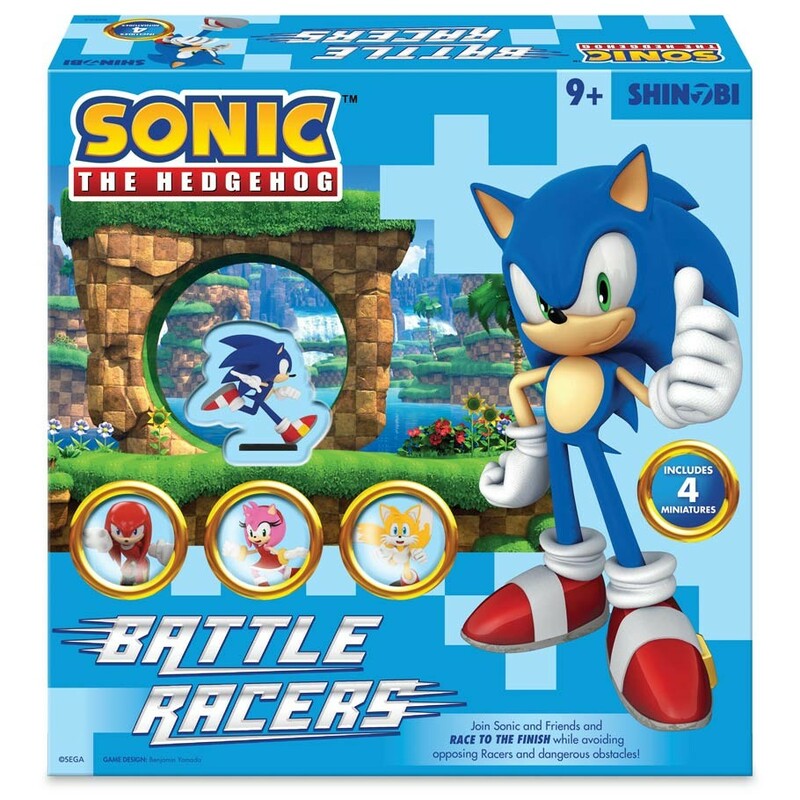 Sonic The Hedgehog: Battle Racers—New from Shinobi 7! Select your Racer, choose your route, and fight your way to the Finish while avoiding opposing Racers and a variety of dangerous obstacles. Control your Speed, use your Abilities, and activate your special Powers to collect as many Rings as you can in an amazing race. Based on Sonic the Hedgehog, the worldwide video game phenomenon, Sonic the Hedgehog: Battle Racers board game and expansions allow players to take on the role of Sonic or one of his many friends and rivals in a strategic race through a variety of exciting locations. The track changes with every race, so no two games are alike. Also includes rules for solo play! 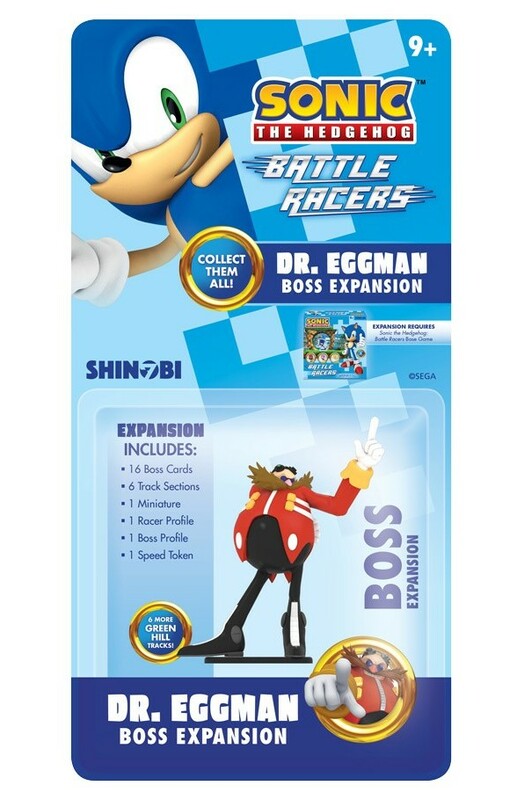 Add this Boss Expansion: Dr. Eggman to your Sonic the Hedgehog: Battle Racers collection, featuring a pre-painted miniature of Dr. Eggman, who you can use as your new favorite Racer or as a Boss you must defeat. This expansion also comes with new Boss Cards, plus an additional set of Tracks for The Green Hill Zone! Combine the Green Hill Zone Tracks into your game to create exciting races with an ever-changing variety of obstacles and challenges! 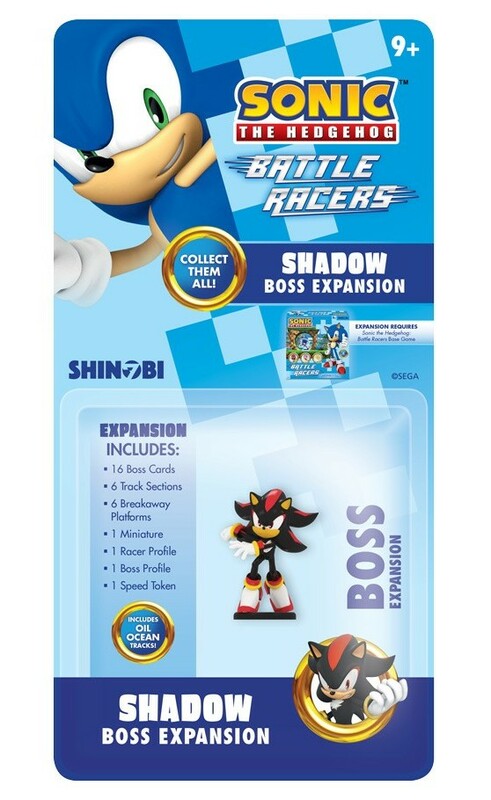 Add this Boss Expansion: Shadow to your Sonic the Hedgehog: Battle Racers collection, featuring a pre-painted miniature of Shadow, who you can use as your new favorite Racer or as a Boss you must defeat. This expansion also comes with new Boss Cards, plus an all-new set of Tracks: The Oil Ocean Zone! Combine the Oil Ocean Zone Tracks into your game to create exciting races with an ever-changing variety of obstacles and challenges!